Online Bike Coach founder Richard Wharton has been a longtime client through his Cycling Center Dallas studio. 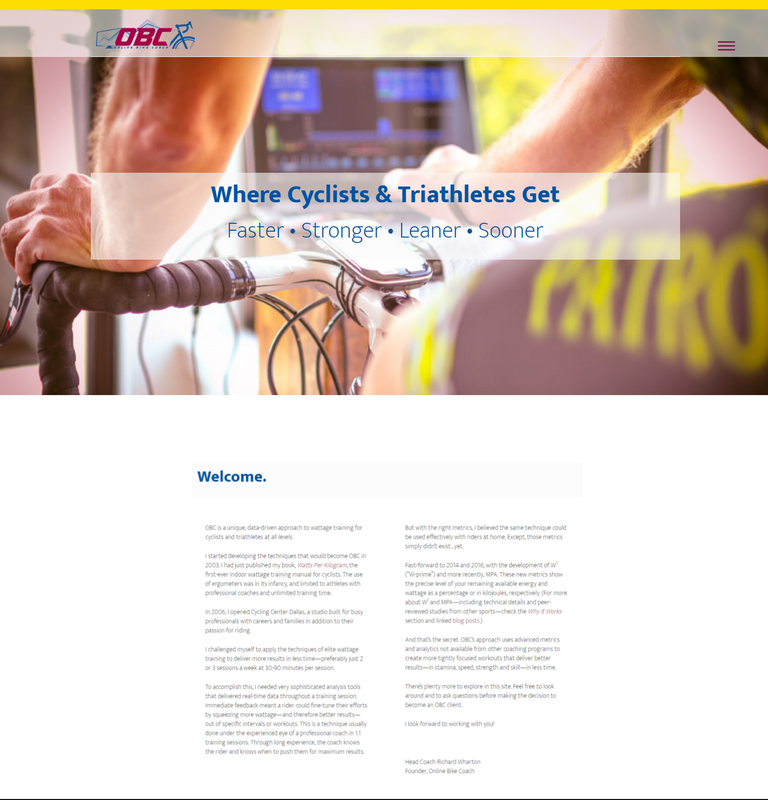 When we started talking about expanding his business into a series of online training programs, we decided to create Online Bike Coach as a freestanding brand. The OBC selling proposition was so rich that copywriting was easy, driven by compelling customer benefits. The text rhythms are unusual. They’re based on Richard’s actual speech patterns (see also the OBC video with his narration). Plus I got to use dingbats in the headline—always one of my favorite devices.